To view an online version of the Day One paper, click here! All things b eing even, here is what can agree on: the two speeches delivered this morning were interesting and came from very different perspectives. The first speaker Tracy Epps, who works in international law and trade negotiations, gave us a glimpse of the mystery of TPPA negotiations – while also wryly pointing out the difficulties with government transparency. At the best of times, foreign affairs and trade liberalisation are complex issues, and at worse downright contestable. Epps delivered an informative and insightful presentation that not only educated but also revealed the true difficulties in multilateral negotiations and conflicting interests (where the stakes are much higher than figuring out what your regional group wants to order for dinner). 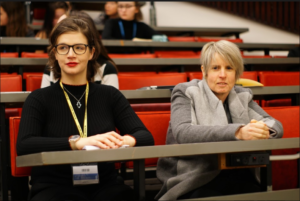 University of Canterbury law lecturer, Debra Wilson – the second speaker – brought the shock factor in a riveting presentation on ethical decision making. She showed how it is not a contest between good and bad, but more often it is trying to figure out the least of many evils. She presented the real life situation of Memorial Medical Centre in New Orleans, Louisiana on the eve of Hurricane Katrina in 2005, into highlight the extremities of decision making in intense high-stake situations. First committee sessions are fast approaching. Good luck for the next three days. Press delegates will be present and be watching to put your ethical decision-making skills to the test! So, what’s your bottom line?